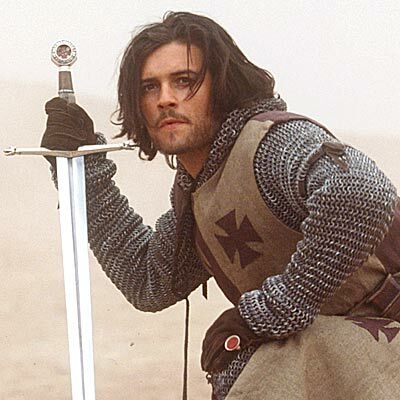 As someone who watches way too much television, too many movies, and as someone who knows a fair about chivalry I thought it would be fun to do a post on my favorite knights from film and fiction. 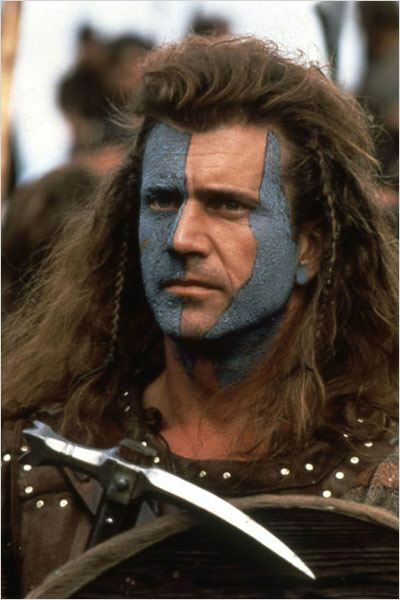 William Wallace from the film Braveheart and portrayed by Mel Gibsoncome in at number eight o my list.. What’s not to like about this film or this portrayal. This film and this portrayal would have ranked higher, but you will understand when you see the competition. 7. 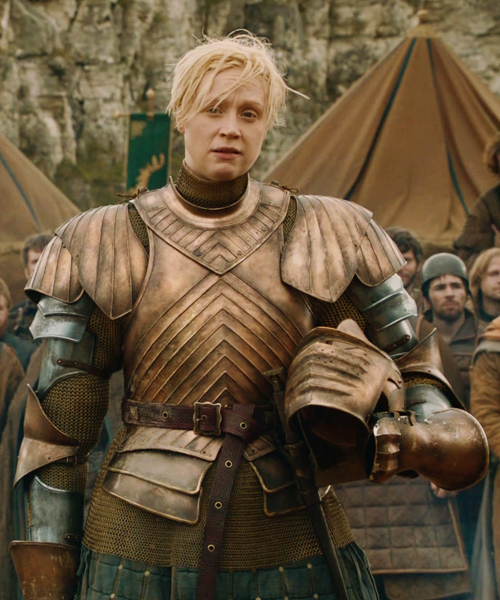 Brienne of Tarth from the Game of Thrones, portrayed by Gwendoline Christie is definitely deserving of a place on this list. She’s a Lady, and she beat the Hound. She is one of two females to make this list. 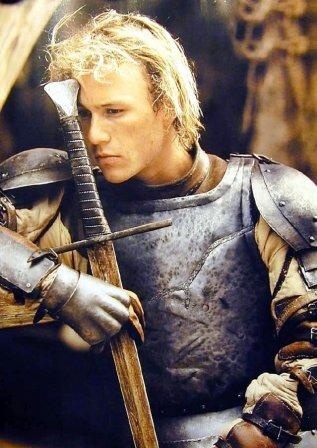 William Thatcher in a Knight’s Tale played by the late Heath Ledger has been one of my favorites since its release. I love this film and the notion that although you may be born into a certain situation, class or caste, you can actually purpose to change your stars and your lot in life — and he gets the girl. Balian de Ibelin in the Kingdom of Heaven. As with a Knight’s Tale, Orlando Bloom shows that you can change your stars. Sometimes stars are changed through purposing to do so and hard work. Other times people are plucked from obscurity like Balian was in this film — and he gets the girl. 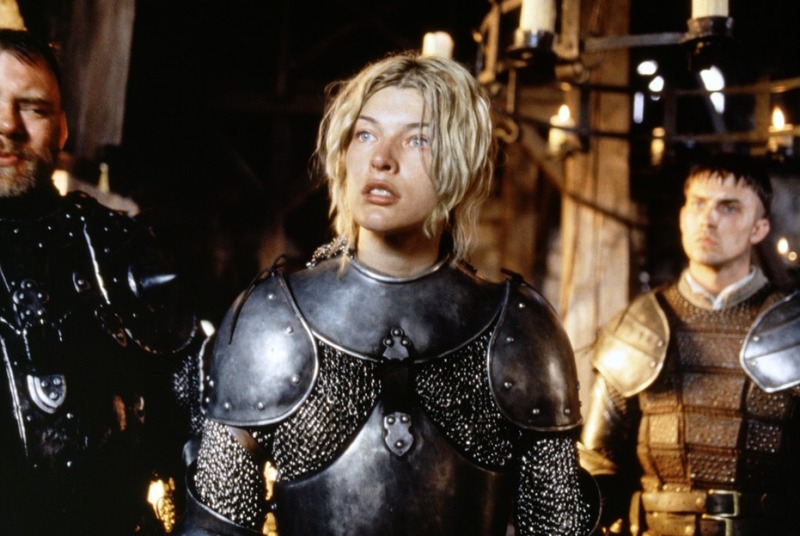 Joan of Arc as portrayed by Milla Jovovich in The Messenger is breathtaking and awe inspiring and not to be missed. If you’ve never seen this, make sure you do. Harry Hart a.k.a. Galahad a.k.a. 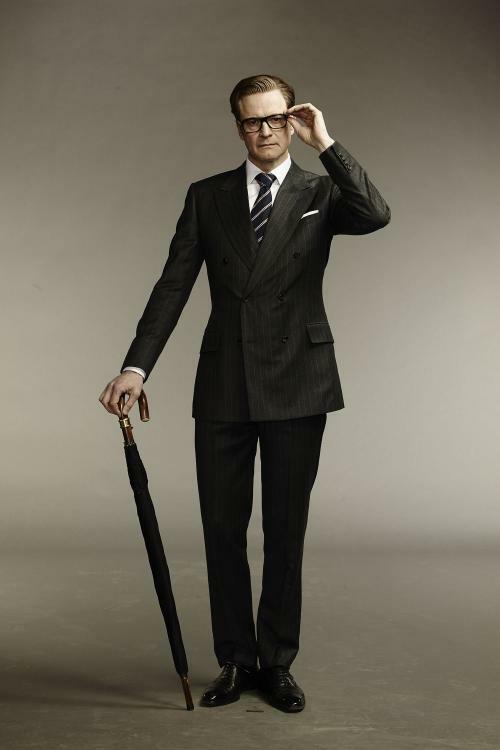 Colin Firth in the Kingsman is a new film and set in modern times. Harry Hart challenges the traditional appearance of a knight, but certainly not the virtues, dexterity, commitment, creed or ethos. This film is a must see. 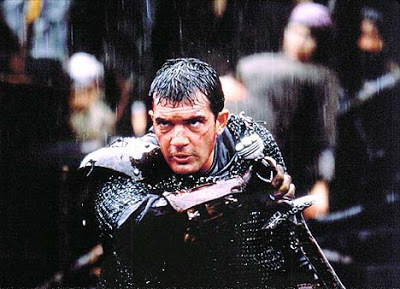 Ahmed ibn Fahdlan is played by Antonio Banderas in The 13th Warrior. He is an Arab poet and diplomat sent to forge relations with Vikings, and becomes the thirteenth warrior in a Norse war party. Arn Magnusson is without a doubt my favorite knight from film and fiction. The movie was just ok, but the book trilogy is phenomenal. It chronicles the formation of a young Norse boy into a fierce and respected crusader night well versed in commerce, Scripture, the arts, warfare and respected by the Saracens including Saladin. 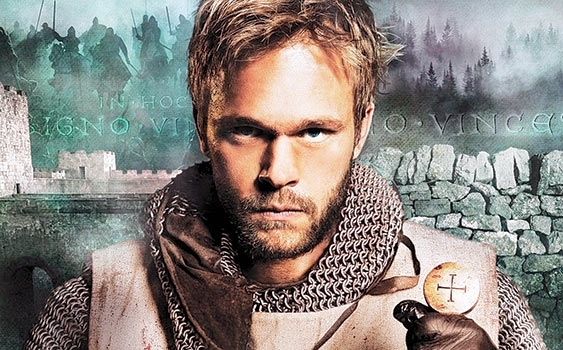 Read the books, but also feel free to check out “Arn: The Knights Templar” starring Joakim Natterqvist. About a year ago, probably almost to the day, a friend turned me on to the writing of Australian poet, Beau Christopher Taplin. I had long given up on attempting to read the writings of modern “poets”, because I find most of it to be poorly rhymed, ham-handed narcissism. 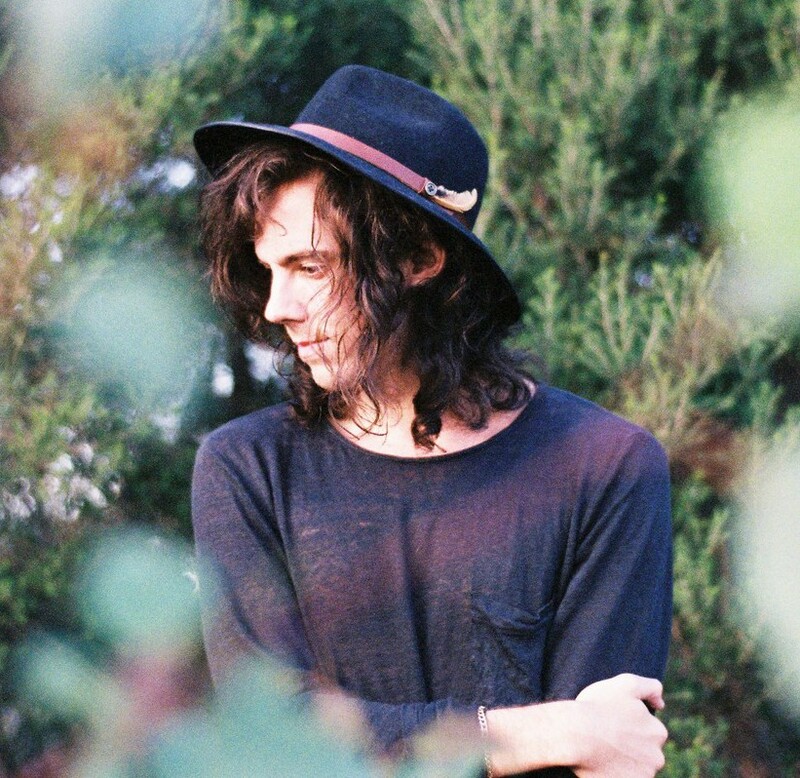 However, I was struck by the few pieces of Beau’s that I did read and kept seeking out more and more. PRINCE GEORGE’S COUNTY, MD – Author Council Nedd II is a man willing to address the crucial question so many people are wondering about right now: Does America hate God? Nedd, a current bishop in the Anglican church and a former Capitol Hill staffer, is the author of the new book Does America Hate God? Faith Under Fire. In that book, he addresses issues of American culture, clashes of values and the actions of government and radical anti-religious activists that have come together to make open practices of faith harder and harder in our society. From the removal of the Ten Commandments from courthouses to attacks on crosses at veterans’ memorials to the misrepresentation of the history of the founding of the republic, Bishop Nedd speaks on the battle being waged to preserve religious freedom in the United States. In the book, Nedd writes: People of faith are ostracized in our popular culture. Religious characters in movies and television shows are regularly portrayed as gullible oafs, judgmental bigots or outright hypocrites. The cultural elite seem to want people to look to them for guidance, rather than to God… Americans of faith need to push back against the radical secular minority imposing itself on the rest of America. “It’s not my goal nor my desire to tell Americans that their nation is inhospitable to our Lord and Savior, but the signs of the epic battle between faith and the established elite are all around us,” said Bishop Nedd. “While it is Christian doctrine to turn the other cheek in the face of insult, it is not a sin to stand up to this brazen assault on religion.” Bishop Nedd is the rector of St. Alban’s Anglican Church in Pine Grove, Pennsylvania and the archbishop of Abu Dhabi. He has participated in relief missions to the Middle East and Africa. Additionally, he is the national chairman of the nonprofit organization In God We Trust and a founding member of the Project 21 black leadership network. He has participated in countless interviews over the past two decades on issues of faith and contemporary politics. He is currently a regular guest on the One America News Network and the RT network. He is also the author or two other books: The Final Four: A Spiritual Journey Through Advent (2013) and Teach Me How to Pray (2014). Chapters in Does America Hate God? Faith Under Fire deal with the importance of faith in the founding of America, how modern government is hostile to faith and how popular culture exhibits an obvious hostility toward religion. Drawing from a perspective gained from being both behind the pulpit and behind some of America’s leading modern lawmakers and thought leaders, Nedd brings a unique perspective to the public policy debate over faith and freedom. Does America Hate God? Faith Under Fire is published by Terebinth Books and was written with David W. Almasi.